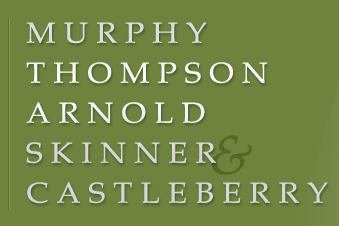 Personal injury If you have been injured as a result of someone else's careless or negligent actions, a lawyer from Murphy, Thompson, Arnold, Skinner & Castleberry may be able to help you collect damages from liable parties. Our Batesville attorneys have more than 100 years of collective experience with injury claims and possess a thorough understanding of Arkansas personal injury law. 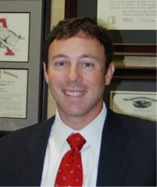 We frequently work with clients whose personal injury claims involve: -Automobile accidents -Trucking accidents -Dangerous or defective products -Workplace injuries -Jones Act and maritime injuries -Motorcycle accidents -Wrongful death We provide prompt, effective counseling to ensure your claim is filed within the state's statute of limitations for personal injury and wrongful death lawsuits. Additionally, we operate on a contingency fee basis for all personal injury cases which means that you pay nothing for our services until you receive a favorable verdict or settlement. Social Security Individuals who are unable to work for at least a year may be eligible to collect Social Security Disability (SSD) benefits from the United States government. Similarly, individuals who are blind, disabled or elderly and have limited income or resources may be able to collect Supplemental Security Income (SSI). The Social Security Administration bases their decision to grant or deny your application for aid based on the exact nature of your illness or injury as well as your: -Age -Previous work experience -Ability to work another job -Medical records While these programs are indisputably beneficial, many applications from deserving parties are rejected during the initial application process. Our attorneys help clients prepare and file their initial paperwork, present hearings for you, and appeal unfavorable decisions to ensure you receive the compensation you deserve.